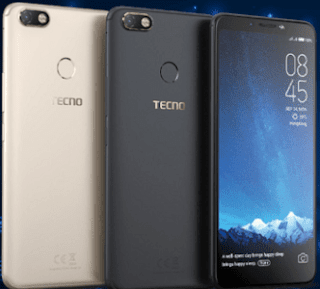 Tecno Mobile has just launched a new smartphone called Tecno Camon iCLICK with Artificial intelligence (AI). This smartphone packs some cool specifications and features. In this post, we will be looking at what this phone has in stock. Tecno Camon iCLICK spots a big 6-inches FullView display at a resolution of 720x1440p. The phone came running on Android 8.1 Oreo straight from the box, which is powered by MediaTek MT6763 processor with speed clocking at 2.0GHz octa-core coupled with a 4GB of RAM and 64GB inbuilt memory which can be expandable via SD Card. In terms of camera, Tecno Camon iCLICK has 16MP rear camera as well as 20MP front facing camera for your selfie pleasure. The phone is a dual SIM smartphone. Connectivity options include Wi-Fi, GPS and Bluetooth. Sensors on the phone include Proximity sensor, Ambient light sensor and Gyroscope. RESOLUTION: 20 MP Front Camera and 16MP rear camera. Price about $206 USD / NGN 75,000. No mention of the actual function of the A.I. Nice set of features though. 4G of RAM, this kind of phone should have a battery capacity going to 7000mah, this would enable it to perform very well.